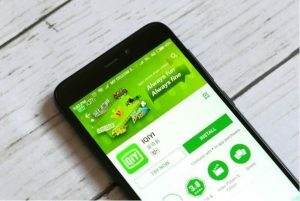 iQiyi (NASDAQ:IQ) has been problematic for me pretty much since its first offering, and watching the IQ stock roller coaster has been captivating. In face, when I wrote about it last July, the headline was: Roller-Coaster iQiyi Stock Could Drop by 50% or More. It wasn’t anything in particular about Chinese streaming service that made me suggest this about IQ stock. Instead, it was the wise words of the Canadian portfolio manager and billionaire Stephen Jarislowsky that had me questioning the staying power of iQiyi stock. Ok, while I was right about IQ stock being available for less than $18 within the 20-month window, it slid below $18 in mid-December, 15 months early. The S&P 500 managed to eke out a 0.5% gain over the same period. You would have done a lot better sticking with the index. But then iQiyi did a 180 at the start of 2019, moving almost straight up over the next 12 weeks; it now sits up 78% year to date through Mar. 20. Talk about comebacks. Its meteoric rise has certainly caught my attention prompting me to revisit IQ’s stock. Is $36 its next stop or is sub-$20s in the cards? Let’s have a look. To know what’s driving IQ stock higher, I’ve looked to InvestorPlace feature writer James Brumley. Brumley rightly reminds readers that iQiyi isn’t just a video-streaming service, it’s also a platform for user-generated video content making it a hybrid of Netflix (NASDAQ:NFLX) and YouTube, operating in one of the strongest economies in the world. “iQiyi is a hit among Chinese consumers, many of whom are still relatively new to the trappings of high-speed connectivity and the massive amount of entertainment available on demand. The numbers validate the claim,” Brumley wrote. Forget for a minute that iQiyi is based in China. If I told you those growth numbers but said it was in St. Louis, Missouri, you’d be all over that stock, moneymaker or not. As Brumley suggests, iQiyi is ideally positioned for growth, as Chinese users continue to gobble up its video-streaming and user-generated video content, much like Netflix was in the early days, circa 2007-2010, before the turn of the decade. There are two reasons investors want to tread carefully when it comes to pulling the trigger on IQ stock. The first has to do with the global economy. While a lot of hand-wringing is happening due to the trade spat between China and the U.S., a more vexing issue is the fate of economies around the world. Yes, the U.S. is doing fine at the moment, but more economists are jumping on the recession bandwagon with every passing day. According to a recent Bloomberg article, the odds of a 2019 recession are 66%, citing a yield curve that’s close to inverting, the Q4 fall in stocks, a slowing housing market, a global slowdown, etc. I started trumpeting the recession call in December 2017. My rationale had everything to do with Trump’s terrible tax plan and the long-term harm it would do to the economy and stocks. Now, the plan’s dark side is coming back to haunt America and the rest of the world. Forget the U.S.-Chinese trade war; if the world economy goes into neutral, you can bet iQiyi’s paying customers are going to put away their wallets. Not only that, a weaker Chinese economy will reduce the number of advertisers willing to place ads on its platform. You have to remember that Netflix got going just as the world was pulling out of a recession. iQiyi is just getting going just as a recession looms. That makes it a much trickier investment in terms of the business cycle. The second reason follows the first. Owning sound companies with strong balance sheets and significant free cash flow will be the way to ride out the next recession, not holding money losers with loads of potential. There is still 12 months before we hit 24 months I alluded to earlier. iQiyi is already an incredibly volatile stock. Throw in a recession, and the threshold of pain gets ratcheted up to unbearable for the average investor. I like the market that iQiyi is operating in, I don’t think now is the best time to take a flyer. If it goes back into the teens, I’d certainly reconsider. Article printed from InvestorPlace Media, https://investorplace.com/2019/03/iq-stock-is-on-the-verge-of-another-plummet-into-the-teens/.